Fire rainbows are gorgeously awesome despite the fact that they are neither fire nor rainbows. In fact, they’re made from the OPPOSITE of fire and rainbows — namely ice and plain ol’ clouds. But they’re really beautiful and if you’ve never heard of ’em, prepare to fall in wonder-love. The less metal/more accurate name for this phenomenon is the “circumhorizontal arc”; they’re only called “fire rainbows” because it sounds way more badass than “circumhorizontal arc” and because they look like rainbow-colored flames when the light fragments through cirrus clouds. But seriously, “circumhorizontal arc”? Get a branding expert, natural phenomena. 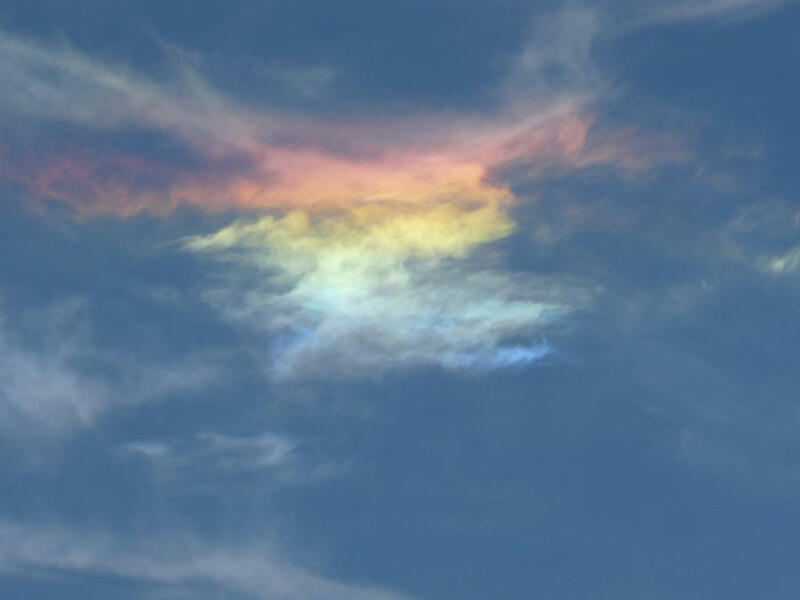 Fire rainbows occur when sunlight passes through ice crystals in our atmosphere, splitting up the frequencies of light into different prismatic colors. Sounds simple, but this only happens when the sun is very high up in the sky — at least 58 degrees from the horizon. Your location determines how often you see them; if you live north of the 55°N latitude line (or south of the 55°S line), you’re going to miss out (way to choose a place to live, sucker). Likewise, the closer to the equator you get, the more likely you are to see them. Regardless of whether or not you get to see them in the wild, you can dig these wonderful photos!